In a rapidly changing world which sees instant communication and reaction, we recognise that empowerment of women in the Arabic speaking world to fully participate and indeed lead, is an opportunity to be nurtured and encouraged. One Financial Markets is honoured to be at the forefront of the Yasmeen initiative, working alongside our local partners, VI Markets. Yasmeen is a forum exclusively for women, designed specifically to support female empowerment in business and the world of financial investment, through structured training and education on commerce and the world’s financial markets. 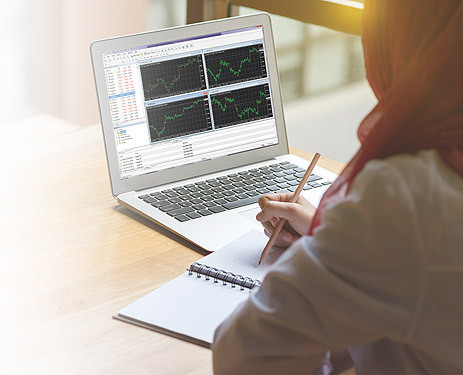 The Yasmeen team will support you every step of the way, providing you with an opportunity to learn about trading the financial markets and to interact with other female investors in the Middle East via seminars, online forums, group meetings and social events hosted by guest speakers. The Anglo-Arab partnership which extends between One Financial Markets and the investment community of the Middle East is almost twenty years strong. We are therefore very proud to be the first company in our industry to offer not just a bespoke education and trading service tailored for the needs of female investors, business owners and managers, but to sit this within a much wider programme of individual personal development. The heart of good education is the sharing of personal experience and the discussion of responses that it can bring about. Yasmeen offers a forum in which knowledge, advice, mentoring and support can be exchanged in an environment as formal as a 100-delegate seminar to the informality of social media. We are dedicated to providing women in the Arabic world with services tailored specifically to their individual needs. Created for women, by women, Yasmeen focuses on satisfying the needs of the increasing number of financially active women in the Middle East who run their own businesses or manage their own investments. Our social networks allow women to share their experience in business, empowering women to pursue their career ambitions by learning from the experiences of those who have faced similar challenges themselves. 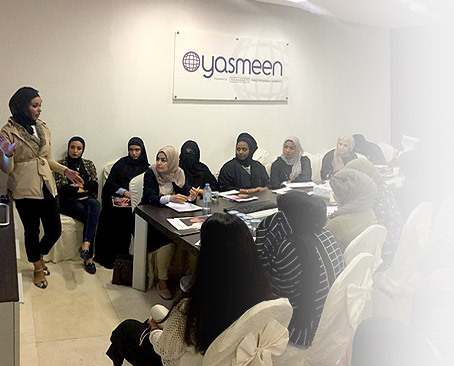 As women become increasingly entrepreneurial in the Arabic world, Yasmeen can provide them with unique opportunities as new business leaders to receive guidance, mentorship and investment for their own new business ideas. Equally, for women who are new to finance and looking to learn and grow their understanding, or are investment or business professionals looking for a new way to diversify and invest their finances. Yasmeen can help to reach those goals, providing bespoke educational services and outstanding personal support. Free seminars and webinars from Yasmeen. In order to ensure our customers have the best trading experience, we are proud to introduce our suite of trading platforms. 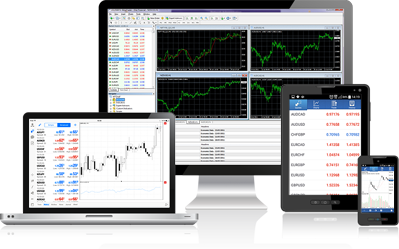 One Financial Markets provides online forex trading through MetaTrader 4 Platform and ECN Platform. ONE | Web Trader is designed to complement our current desktop and mobile platform, giving you greater access to the financial markets whether in the office, at home or on the move. ONE | MT4 Mobile offers a feature-rich, easy to use interface with immediate price updates. The charting service is fully functional and provides real time streaming charts for each instrument. Our online network gives women across the region a unique opportunity to share business, cultural and educational experiences and exchange thoughts and opinions on current affairs in the world of finance. We look to ensure that all our members are kept constantly informed and up to date on key business issues, both local and international; our weekly online discussions provide women across the Middle East a chance to exchange thoughts, opinions and experiences as women in the Muslim world pursuing commercial and educational goals. With an escalating number of females in the Middle East controlling a growing percentage of the capital, Yasmeen has dedicated itself to developing a tailored training and trading solution that supports the growth in the investment knowledge of the female population in the Middle East. One Trading Academy provides a guide to trading the financial markets and gives the opportunity to work, step by step with a personal account manager, towards a formal One Financial Markets “Market Awareness Diploma”. Unique opportunity to share their business, cultural and educational experiences and to exchange thoughts and opinions on current affairs in the world of finance. Our seminars encourage members to share and learn from experiences of those financially active women who have faced and overcome similar challenges themselves. Yasmeen’s social events provide a unique opportunity to meet and network with fellow business leaders, to exchange new business ideas and to discuss potential business opportunities. To register or find out more on what Yasmeen can do for you, please complete the form below.